Many children dream of fighting fires and saving lives, you can fuel their imagination with the best fire truck ride on toy. Your child will develop critical motor skills while working on their balance and coordination. Toddlers and young children love playing pretend firefighter and rushing to the rescue to save all of their friends! Kids Ride Wild searched through dozens of reviews to bring you the top choices for the ride on fire truck. Our product comparison will explain the features and accessories that you should look for when buying this exciting ride on toy. The Power Wheels Paw Patrol Fire Truck is an interactive toy with electronic sounds and lights for your little firefighter. Kids are drawn to the colorful PAW patrol graphics and will be begging to go for a ride! Teach your child about cause and effect by empowering them to start and stop the motion on their own. Your child simply presses the start button to operate the fire truck power wheels. This toy only moves forward up to a maximum speed of 2 mph for safe play both indoors and out. It runs on the included 6-volt battery that can be recharged for many life saving adventures. Kids accompany Marshall the fire pup for imaginative play with built-in footrests which foster a supportive ride. The pivoting ladder brings the experience to life making kids feel like heroes and they pretend to embark on a fire rescue mission. The wide tires are ideal for hard, smooth surfaces and can even be used on grass. Toddlers have no trouble hopping on and off the truck as it is low to the ground. The total dimensions of this product measure at 31 x 18.4 x 15.4 inches which is a great size for kids ages 12 months to 3 years. Among other ride on trucks for toddlers, the Paw Patrol fire truck sparks the most pretend play while being extremely sturdy for your child’s safety. Kids gain a sense of self confidence as they drive around and explore on this exciting fire truck. >> Check out Power Wheels Paw Patrol Fire Truck on Amazon right here. The Schylling Metal Speedster Fire Truck features the traditional fire truck design that us parents know very well from our childhood. The red steel body is vibrant in color and inviting for kids to hop aboard the comfortable black seat. Steering with the attached wheel gives your child control over the direction they are moving in. With realistic markings such as the hook and ladder lettering and fire department logo, this toy is a real classic for your child to enjoy. 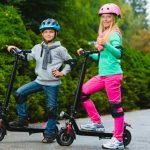 Kids can ride both indoors and outdoors with the thick rubber tires that can handle a wide variety of surfaces such as carpet, grass and pavement. The thread won’t tear up delicate or hardwood floors which makes this a great toy for any play environment. It only weighs 16 pounds and measures 29.5 inches long so it is easy to move from room to room or around the backyard. The attractive design will bring your child’s imagination to life and have them speeding off to save lives. This is not a battery powered toy, it is fuel by pure kid power! It does have a loud horn for kids to alert their friends that they are on a firefighting mission. Real wooden ladders create a realistic experience for children ages 1 to 3. There is a weight limit of 42 pounds, so this toy is meant for use by only one child at a time. If you have multiple toddlers in your home, they will each be waiting to take their turn on this kids ride on truck. The metal construction of this toy is designed to make it a prized possession for your child for many years to come. >> Check out Schylling Metal Speedster Fire Truck on Amazon right here. For kids who love wet and wild play, the Little Tikes Spray and Rescue Fire Truck is fully equipped with a pressurized water tank. Bring the firefighting pretend play to life with a hose assembly that squirts real water. The tank can be snapped right off for easy refilling after your child has been saving lives for hours. Designed for kids 18 months to 5 years, children love riding around on this little tikes fire truck. This toy is a feet to floor ride on which means that children move around by pushing their feet along on the ground. It is lightweight weighing at only 14.1 pounds, making it easy to maneuver around both in the house and outside. The suspended rubber wheels can ride over grass, dirt, pavement and virtually any indoor surface. The face of this Little Tikes fire truck is absolutely adorable with it’s large friendly eyes and huge grin. Kids will love riding around with their little fire truck friend as they imagine new heroic escapades. This toy is made in the USA and constructed from durable plastic for a comfortable, long-lasting ride on truck. When it arrives, parents only need a few minutes to assemble it to the full 31 x 17 x 16 inch dimensions and it will be ready for adventure in the blink of an eye. Help your kids navigate to the imaginary fire by pushing the truck or let kids use the steering wheel to swivel the wheels in the right direction. Let your little hero extinguish fires and cruise around while building coordination on the Spray and Rescue Fire Truck. >> Check out Little Tikes Spray and Rescue Fire Truck on Amazon right here. 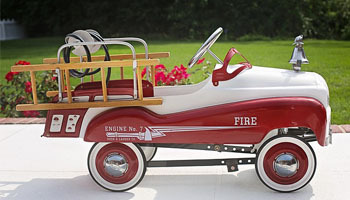 The Radio Flyer Fire Truck is a fire truck battery powered ride on perfect for 2 toddlers. Kids 18 months of age and up can safely ride on this big red truck. Your child can ride by themselves or have a friend tag along on the back holding on the rear handlebars. The driver simply presses the on and off button and the truck is ready to ride. The steering wheel will give them full control to steer wherever their imagination takes them. The truck looks like a real life fire truck and features truck lights and sounds. Your child can even bring along their favorite toy with the under-seat storage compartment. ith total dimensions of 33.1 x 14.6 x 18.1 inches, the fire truck battery powered ride is great for children 3 years of age and up. It is 17 pounds which makes it easy for parents to pick up and bring inside or on the patio for storage when playtime ends. It comes included with the battery and charger so when it needs to be recharged, you just need to plug the charger into the EZ charge port on the back bumper. When it is charged, kids can ride up to 2 MPH which will give them plenty of speed to chase pretend fires. Kids will be ready to play firefighter games with their best friend! >> Check out Radio Flyer Fire Truck on Amazon right here. The Fisher Price Little People Fire Truck Ride On is full of interactive fun with an included walkie-talkie. If kids want to pretend to talk to the dispatcher, they simply remove the walkie talkie to activate sounds in the dashboard. Kids can also activate sounds and tunes by pressing the buttons on the handle bars. The lights on the truck flash while the sirens blare for a real firefighting experience. The push bar handle transforms into a custom fire ladder for kids to pull out for added excitement. The fun doesn’t stop there as kids can press the fire hose button on the dashboard for a clicking sound. Kids will be ready to extinguish any fire with the Little People ride on truck. Recommended for children ages 12 months to 3 years, this big red shiny truck has neat graphics of fire fighters and a fire dog on the front and sides. It comes fully assembled and ready for kids to embark on their fire missions. The 3 AA batteries needed to operate the sounds and lights are included in the package. Parents are thankful for the volume control that can turn the sound to a reasonable volume. The dimensions of this truck are 20.8 x 10 x 15.8 inches which is the ideal size for your small child. The seat height is only 8 inches so it is easy for kids to hop on and off. This toy only weighs 4.7 pounds so it super easy to pick up and move around. 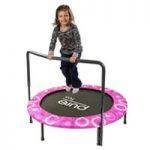 Kids can power this with their feet to the floor or parents can push them on endless adventures. >> Check out Fisher Price Little People Fire Truck Ride On on Amazon right here. The Kid Motorz Fire Engine is an electric fire truck ride on powered by a 6-volt battery. This battery powered toy has the full functionality to drive forward and reverse while kids steer from left to right. With blacked out windows and realistic truck decals, kids will see this truck and want to take it for a spin! The siren sound effect and 8 flashing lights, it brings the full fire-fighting experience to your child’s play environment! The microphone is fully functional for kids to make an announcement that they are coming to save the day. With plenty of interaction for active imaginations, your little one will be occupied for hours. This truck is slightly larger than comparable ride on trucks making it best suited for children ages 3 to 6 years. With a 39.3 x 23.2 x 23.6 inch size, it will be sure to grow with your toddler as they get older and still want to play firefighter. It will hold up to 66 pounds which is plenty to accommodate one child at a time. Assembly is simple and takes most parents less than 15 minutes. All you need to do is attach the steering wheel and 4 rolling wheels and your child will be ready to ride! Both the 6 volt engine battery and 1 AA battery for the sounds are included in the package. For charging, the seat pops right off for the charger to be plugged in. Turn on the sounds and your child will be drawn to fight fires on this electric fire truck ride on toy. >> Check out Kid Motorz Fire Engine on Amazon right here. You will want a fire truck that is perfect for your little one to explore their imagination while having a blast riding around. Here are some helpful tips and ideas to help you bring the full firefighting experience to your home or backyard by choosing the best fire truck ride on toy. Do you want your child to fuel the movement with their feet to the floor or would you prefer a truck that moves on it’s own? A foot to floor ride on truck is powered by pure kid fuel which helps your child learn to balance while building their leg muscles. In contrast, a battery powered ride-on toy moves forward without children needing to kick off the floor. Some battery powered toys can even drive in reverse for all directions of fun! Ride on toys are great for toddlers and young children to play on, although it is important to note the specific age range that the fire truck riding toy is recommended for. Some ride on trucks start at age ranges as young as 12 months, while others have a minimum age of 3 years. For example, if your child is 18 months, you could find a ride on truck that is designed for 18 months to 6 years or a similar age range. When buying a ride on toy, you want to make sure your child’s weight is safely supported. Make sure you look for the maximum weight limit for the toy you are deciding to purchase. It is sensible to buy one that exceeds your child’s current weight by at least 10 pounds so they have some room to grow with it. If your little one likes to play with water, a ride on truck with a hose sprayer and water tank is a great feature to have. A fire truck ride on toy is already loads of fun but the sprayer brings the firefighting experience to life. Kids can ride around and pretend they are putting out fires and saving lives with real squirting water. The water tank can be refilled for repeated use so kids will never run out of fun. This is a neat feature that should only be used for outdoor adventures. A fire truck ride on toy is fun in itself but finding one with additional features can add to the excitement! Some trucks have realistic lights and sounds for interactive fun that are normally powered by batteries. If your child wants to bring along their favorite toy or souvenir, an under-seat storage compartment is a convenient feature for their excitement. Another realistic feature is a pull out ladder attachments for pretend play. Kids can dress the part while riding on the fire truck toy with the Melissa and Doug Fire Chief Role Play Costume Set. This set includes all of the essentials for firefighting: a jacket, helmet, badge, fire extinguisher, reusable name tag and bullhorn. Kids will love to play the role of a fire fighter with these high quality accessories that are built for durability. The bullhorn even makes sound effects for a loud fire alarm. 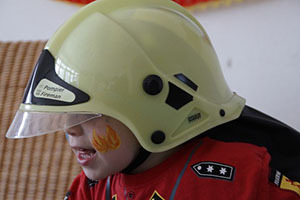 What better way to spark your child’s creative side, then to have them dress up just like the real firefighters? Your child will hop on ride on fire truck ready to save the world. Fighting fires and saving lives while encouraging development of their motor skills and coordination! Now that we’ve introduced you to the best fire truck ride on toy choices, you can decide on one that your child will love for years. 125cc Dirt Bike: Which One Should You Choose? Razor Pocket Mod Review: Girls Gone Ride! 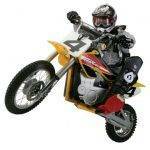 Kuberg Dirt Bike Guide – Are These Hi-End Electric Bikes For Kids Really So Good? Kids Ride on Tractor Reviews: Pedal, Electric and a Whole Lot of Fun! 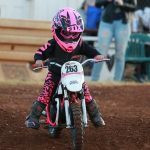 Kids Ride Wild blog has been created in 2014 by a group of friends who happen to be toy freaks (hey, we're still young!). 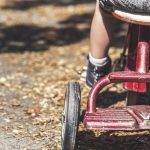 Blog's mission is to help parents choose the right ride-on toys for their children. Our website quickly grew in popularity as we expanded our editorial team to cover further ride-on toy types and provide genuine, unbiased information, guides and reviews you can trust. Kids Ride Wild is a participant in the Amazon Services LLC Associates Program, an affiliate advertising program designed to provide a means for sites to earn advertising fees by advertising and linking to Amazon.com. Amazon and the Amazon logo are trademarks of Amazon.com, Inc. or its affiliates. Please refer to our Privacy & Affiliate policy for more details. 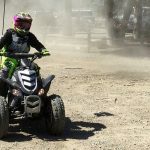 Troy B on Razor Pocket Mod Review: Girls Gone Ride! Nene on Razor Pocket Mod Review: Girls Gone Ride! Kids Ride Wild - Copyright © 2018. All Rights Reserved.